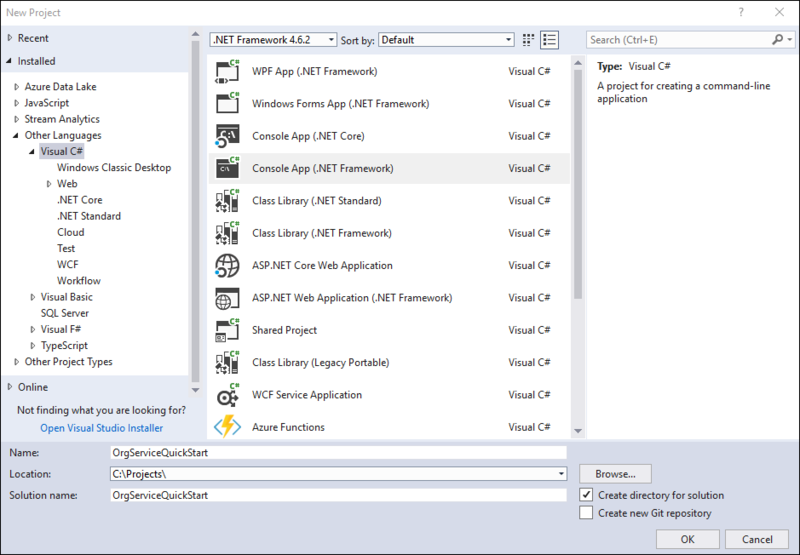 This is where you begin working with the .NET SDK assemblies to work with data using Common Data Service. In this quick start you will create a minimum console application to connect to the Organization service using the CrmServiceClient class. You will pass your connection information using a connection string passed to the constructor. You will use the IOrganizationService.Execute method passing an instance of the WhoAmIRequest class, and you will display the WhoAmIResponse.UserId value. 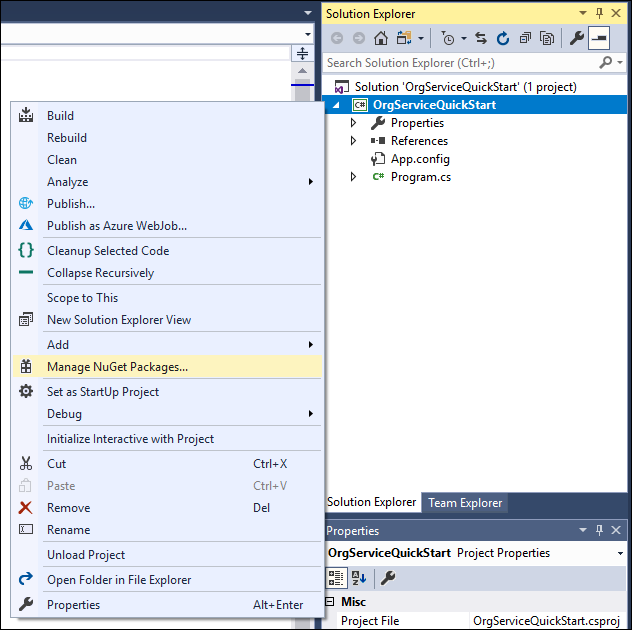 This quick start example does not include error handling. This is a minimum example of what you need to connect to and use the Organization service. This screenshot shows the name OrgServiceQuickStart, but you can choose to name the project and solution whatever you want. Browse for the latest version of the Microsoft.CrmSdk.XrmTooling.CoreAssembly NuGet package and install it. You have successfully connected to the organization service.